How Far is ACAS Garudadri Abode? Garudadri Abode is one of the popular residential developments in Banashankari, neighborhood of Bangalore. 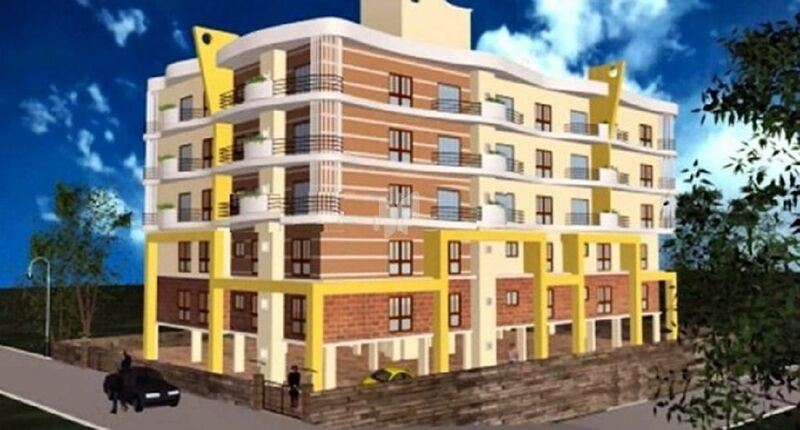 It is among the completed projects of ACAS Group. It has lavish yet thoughtfully designed residences. R.C.C. Frame With Columns & Beams. Solid Cement Block Wall in Cement Mortar. Main Door Frame Teak Wood and Steam. Breeach Venered Flush Shutters Outer Door Frames with Sal Wood with Flush Shutters. Powder Coated Aluminum Windows with Glass & Safety Grills. Vitrified Tiles for Living & Dining. Ceramic Flooring for Bedrooms, Kitchen and Toilets. Granite Stone Platform with Stainless Steel Sink. Dadoing upto 2' 0" height. Smooth Finish in Interior. Sponge Finish in Exterior Surface. Plastic Emulsion for Internal Walls. Cement Based colors for Exterior Walls. Enamel Paint for Wooden Works and Grills. Concealed Circuit with PVC Insulated Copper wiring with Anchor Roma Switches, Adequate number of points. Six Passenger Capacity Self Operated Lift of Standard Make. Provision for Lift and Common Areas.